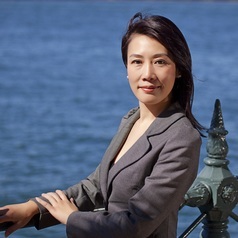 Educated in both Civil Law and Common Law and with a strong background in international legal practice, Dr June Wang is a leading expert on franchise law and a highly respected commentator on Chinese law. Besides academic publications, June has contributed to submissions and reports to the Chinese government that have influenced the development of regulation and government policies on the franchise sector in China. June is also adjunct/visiting professor at several prestigious universities in China, and she is routinely invited to deliver guest lectures, seminars, and conference papers internationally. June’s current research focuses on Chinese law, where she takes a comparative, inter-disciplinary and socio-legal approach to research, and endeavours to provide original observation and analysis of the various reforms of commercial law, and changes of behaviours by foreign businesses and administrative authorities and courts in China.